Offer your kitchen staff the ease of slicing tomatoes with the Winco TTS-250S Kattex Commercial Grade 1/4" Serrated Blade Tomato Slicer. This slicer allows you to cut 2 dozen tomatoes into neat slices in only 1 minute while its wide push handle makes it simple to use. Thanks to its aluminum construction and razor shart stainless steel blades, this tomato slicer is tough enough to handle the rigors of heavy commercial use. 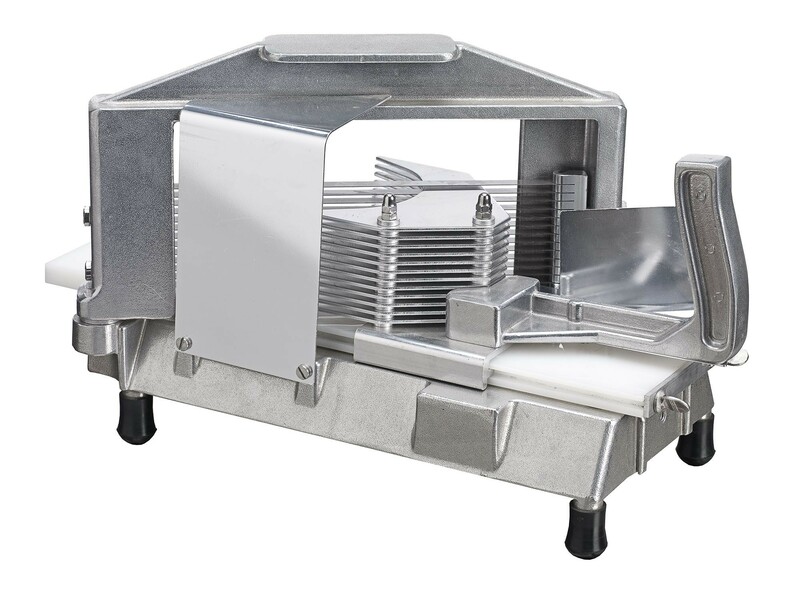 Designed with a HDPE board, this slicer ensures safe food processing and is perfect for preparing tomatoes in any busy restaurant or catering business. 16 1/2" x 8 3/10" x 9 1/2"